You can click all the images to see them full screen. If you didn't already realise by the numerous tweets, facebook statuses and instagram pictures I have posted about my obsession with coffee, well now you know. I love coffee! It is my social drink of choice. I love going to a cool little cafe with a friend to catch up while we drink liquid gold, or going to a secluded cafe to read and explore my magical brain of ideas. I love it, not only the coffee but the cafe experience. In the last year I have become more intrigued by those little brown beans. I have also been informing myself about the myriad of ways to brew coffee and prepare it. I've slowly weaned my way off milk and sugar and just recently started drinking the stuff black. Never thought I would enjoy coffee straight, but turns out I prefer it. With my knowledge and intrigue in coffee increasing I have been searching for cool cafes to visit. Whether I'm looking for a place to hang out with friends, or on my more loner of days, to just sit down and read a book. Since I'm back in Japan at the moment I've been exploring the local cafes here in Kyoto with my similarly coffee obsessed brother Jon Levy. 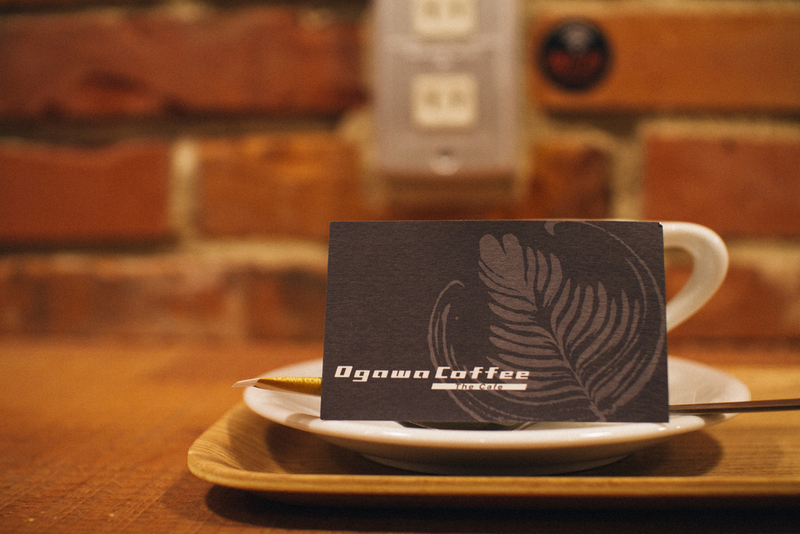 This week we ventured into a new little cafe which goes by the name Ogawa Coffee The Cafe. 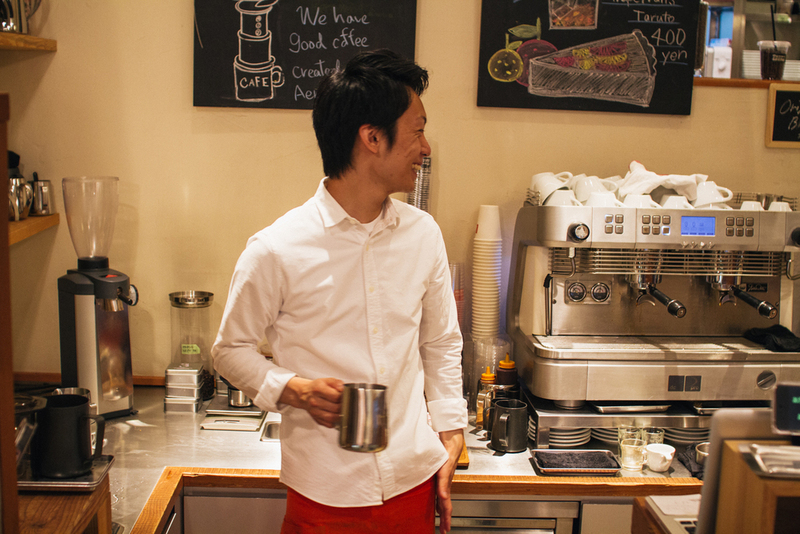 I had heard about the cafe through a search trying to find good espresso in Kyoto, and boy did I find it. This place was great, not only was the coffee delicious but the atmosphere and decor were right up my alley. It's a great place to hang out, read a great book or do some work on your electronic device of choice. Speaking of electronic devices, the cafe has iPad's sitting on the bar, so one can occupy ones self as they wait. Who doesn't love having expensive potential spilling hazards! I heard that the cafe had great cappuccinos, so I got one and my brother ordered a latte. Not only did he choose wrong, but he didn't get any latte art. Which ironically he was the one who ordered a latte. The coffees come in beautiful white ceramic cups where the handles flow off the rim of the cup. They also come on a cool little wooden tray which I quite enjoyed the presentation of. There was a choice of three different beans/blends and I chose an El Salvador Buenos Aires coffee for my cappuccino which was delicious! The cappuccino was made just the way I like 'em, with the perfect ratio of microfoam, milk and coffee. View of the cafe from the outside. You can see the handles I mentioned on the cups here. A look at the first floor of the cafe. After finishing my scrumptious cappuccino and annoying my brother as he tried to work, I decided I wanted another cuppa! If you are obsessed with coffee like I am, you may have heard of the AeroPress. If not, it is a really simple and delicious way of brewing coffee. Not to mention a very cheap way to make coffee at home! It's very similar to a French press actually. You put in your coffee grounds, add hot water, then plunge the water through the grounds and viola! I had never had an aeropress coffee so I was excited to finally try it out. I ordered one with Costa Rican beans and photographed the barista as he prepared it. The coffee was great, really smooth and not very acidic/bitter. I will definitely be getting myself one of these for my morning coffees. Overall this place is great. 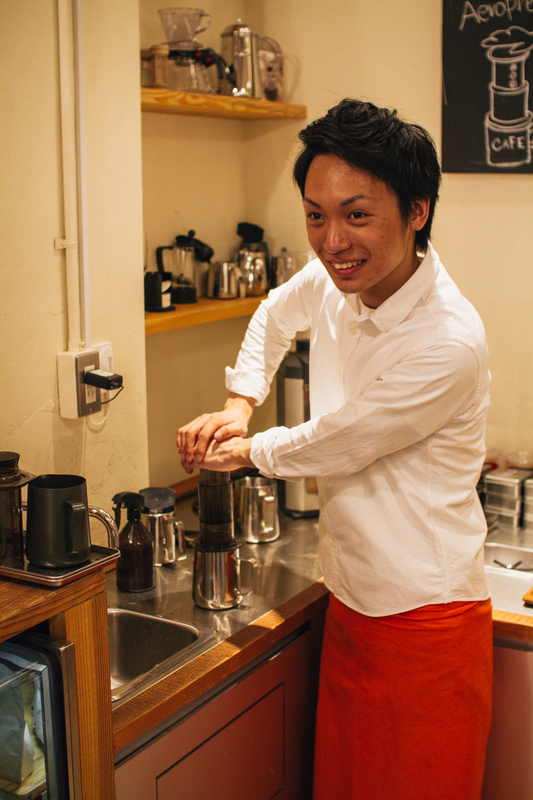 I highly recommend it if you are looking for some great coffee and a cool atmosphere, while here in the Kyoto area. Like most Ogawa Coffee shops they sell coffee beans and gear here as well, so if you're in need of a grinder, aeropress, pour over equipment, or steaming jugs they have you covered. They also happen to do barista training courses here, so if you want to get some training with latte art and coffee making check 'em out. They have a website you can visit, to find out more about their course. They also have a facebook page. Thank you for reading and hope you enjoyed my thoughts and photos. I will be doing more of these 'Cafe Spelunking' posts where I photograph cool cafes I come across, so keep checking back for more! If you have any recommendations of places I should check out, let me know in the comments, email, twitter or facebook. Aerial view of the rosetta design in my cappuccino.